Published by New Matilda. Read the original article. Cruising just above the cloud line above western Victoria, the farmland rolls out in tidy checkerboards, dotted with haystacks and sheep. Fluffy cumulus casts irregular shadows across the landscape, while a dirty grey smudge heralds a spring shower ahead. Apart from the vast brown and green rectangles of cropland, perhaps the most noticeable landmark is a long line of high-voltage electricity towers, suspending thin grey power cables in long spooling droops. They stretch out in linear discipline all the way toward a small town, hugging the coast in the distance ahead. Our little twin-prop Metroliner bucks and yaws in the breeze, but none of the passengers look too concerned. Suddenly, the engines heighten in pitch and our plane rolls left, showcasing dramatic views of a tall ocean bluff, topped with dozens of lazily spinning wind turbines. Out the other side of the plane, I can catch a glimpse of our destination: the town of Portland in western Victoria. I’m visiting Portland thanks to the assistance of energy company Pacific Hydro, which paid for these flights and whose assistance it’s important to disclose. I’ve accepted their assistance because Portland is one of the best places to see the transformation under way in Australian energy. Portland is home to the old and the new of Australian energy. The town’s biggest employer is ahuge aluminium smelter, built by Alcoa in the 1980s with the assistance of John Cain’s Labor state government. Aluminium smelting is incredibly energy intensive. The vast currents of electricity required to make aluminium mean that the finished product is closer to solid electricity than a traditional mineral ore. According to Hal Turton in this excellent 2002 paper (pdf) for The Australia Institute, Portland’s electricity demand is around 640 megawatts — about an eighth of the peak demand in the state of Victoria. This means that this single facility is one of the largest greenhouse gas polluters in Australia. Portland’s aluminium smelter employs local workers, but it also warms the planet. When the smelter was built, it looked like a great deal for the community of Portland. A modern and efficient factory would provide thousands of jobs in a struggling regional community. Victoria would enjoy a big boost in exports. And the state’s brown coal electricity generators in the La Trobe Valley would enjoy a long-term customer. A huge high-voltage power line was duly built all the way to Portland to link the smelter to the grid, and the state of Victoria committed to subsidising electricity prices for the plant for the next 30 years. The deal is estimated to cost the state $100-200 million a year; in 2009, The Age’s Royce Millar estimated that by the time the deal expires in 2016, Victorian taxpayers will have shelled out perhaps $4.5 billion in subsidies. A generation later, the deal isn’t looking like great value. Aluminium is one of the few metals in the world that has not enjoyed a price boom in recent years, and fierce competition from China has kept plenty of supply on the market. To make matters worse, the high Aussie dollar has made Australian aluminium very expensive. There is ongoing speculation that Alcoa’s older Port Henry smelter in Geelong will close, even after a $44 million dollar bail out from Australian and Victorian governments in June. For the time being, Portland’s smelter is safe. Alcoa has recently inked a new long-term electricity contract with the huge Loy Yang A power station in the La Trobe Valley to supply electricity to Portland until 2036. Loy Yang is of course one of the dirtiest electricity generators in the country; despite this, it still received $240 million in federal assistance in June this year as part of the government’s energy security package. The smelter is not Portland’s only big employer. Located just out of town is engineering firmKeppel Prince, one of Australia’s three remaining large wind tower manufacturers. According to managing director Steve Garner, the firm is the town’s second-largest employer, with about 150 full-time staff. Keppel Prince contracts for a lot of the smaller engineering and boiler-making work at the smelter, but in recent years it has also moved into the renewables sector in a big way, tooling up to make the towers for wind turbines. In the mid-2000s, after Pacific Hydro announced its plans to build wind farms at Portland, Danish wind turbine giant Vestas built a shared facility at Keppel Prince to produce turbine blades for Pacific Hydro there. But with continuing uncertainty over the future of the Howard government’s MRET policy (the forerunner of the current Renewable Energy Target), the facility didn’t last. Vestas shuttered the plant in 2007. Despite this disappointment, Keppel Prince initially did well making wind towers, investing $15 million in their Portland facility. But then the firm ran into the broader headwinds that affected the Australian wind sector after 2009, when the Rudd government made its fateful decision to create the so-called “phantom” renewable energy certificates. As a result, the renewables sector experienced a long pause in construction approvals, as the industry worked off the overhang in renewable energy certificates that flooded the market in the wake of the solar multiplier decision. “We believe it’s starting to clear out,” Garner says of the certificate overhang, pointing to recent investment decisions by overseas wind firms such as Meridian Energy and Gold Wind. Keppel Prince also faces many of the same problems that have smashed the competitiveness of the rest of Australia’s manufacturing sector: ferocious global competition, and a high Australian dollar. “It’s the dollar,” he says bluntly. Garner estimates the Australian dollar would have to fall to 80 cents against the US dollar for Keppel Price to be competitive against cheap Chinese imports. “No one’s made any money in the last couple of years,” Garner admits. Ask Garner what his firm needs from the government in energy policy, and he’ll tell you in one word: certainty. “There has never been any certainty, ever,” Garner says. “Now there’s uncertainty with the RET Review going on. It’s frustrating, honestly.” The government’s decision to review the Renewable Energy Target has come just as prices for certificates have started to stabilise after the solar multiplier debacle. Now the added uncertainty is again depressing prices for RECs. After meeting with Garner, I get a tour of the Keppel Prince facility by workshop foreman Dave Mills. “As you can see, we’re pretty quiet at the moment,” he says, pointing to the largely empty workshop floor, although Keppel Prince is finishing off some big pipes for a Western Australian mining project. “Everything you can see here,” he says, “there’s nothing a client’s going to pay us for.” A lot of the Keppel Prince staff have taken voluntary holidays. “There’s one small contract coming in after that.” Mills says it has never been as quiet as this on the shop floor. “82, 93, none of those years are as bad as this,” he says gruffly. At the end of my tour, I catch up with Holly Marsh, a community engagement officer for Pacific Hydro. Marsh is a local girl, trained as a journalist actually, who left Portland to go to uni and then travelled through Europe in her twenties. Marsh counts herself lucky to have been able to get a job back in Portland with Pacific Hydro, where she has settled down with her partner, a photographer with the local newspaper, and started a family. “There’s not too many places where you can afford to buy a house in Melbourne these days,” she tells me. Marsh’s role is to liaise with the local community. “It’s a 25-year relationship, so little things make a massive difference to our reputation,” she says. Pacific Hydro funds a range of community groups and projects, but Marsh is proudest of a footpath and bus stop the company built for school students along a particularly narrow stretch of Bridgewater Road. Marsh takes me for lunch at the local hotel, where I meet with Peter Reefman, also a Keppel Prince employee and a member of the Portland Sustainability Group, a local environmental organisation. Keppel Prince has lately entered the solar installation space, rolling out solar PV for local rooftops. He tells me about the recent town meeting about wind farms in Portland, when Victorian DLP Senator John Madigan turned up to hold a forum on wind farm acoustics. “People are leaving their homes over this, and no one does that just for the hell of it,” Madigan told the Hamilton Spectator in June. The forum heard a highly technical presentation on wind farm noise by an acoustic engineer. It also heard from Pacific Hydro CEO Lane Crockett. Crockett says that Pacific Hydro actually “went the extra step” and tried to measure the notorious “infrasound” said to be the cause of wind farm-related health issues. “If infrasound is the so-called cause, we went out and we did measurements around our existing wind farms, the beach, in the Adelaide CBD, next to a gas-fired power station. And, in fact, the infrasound was lower at the wind farm than at those locations.” Pacific Hydro, he says, “came to the conclusion that there is no direct physiological health impact from a wind farm.” No one denies some people find wind farm noise unpleasant. But there is no credible evidence that they make people sick. After lunch, Marsh takes me for a drive to see the wind farms on Cape Bridgewater. The wind is blowing stiffly and the turbines are spinning at something close to their maximum capacity. This is the second time I’ve stood underneath a modern wind turbine; the first was during a recent trip to Waubra. Standing underneath one, I am once again amazed at how quiet it is. There’s a rhythmic tenor swooshing, and a quieter, higher-pitched whine from the gearbox. Both sounds are difficult to pick out against the much louder noise of the wind itself. Behind me, kangaroos loiter amongst the coastal heather. Stretching out beyond the bluff lies the vastness of the Great Australian Bight. On an afternoon like this, it’s not hard to agree with the sentiments of many of my friends, who have called wind farms beautiful. If this is the face of the renewable energy industry, I think, it’s a pretty benign one. As Marsh drives me back to the airport, she tells me that support for the wind farms in Portland is running at about 83 per cent, according to recent internal polling by the company. It sounds like an absurdly high figure, but it is actually consistent with other studies of community attitudes to wind power in regional Australia. 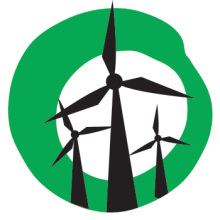 Both the CSIRO and the New South Wales government have found strong community support for wind power; the New South Wales study(pdf), for instance, found a surprising 81 per cent in favour, while a QDOS survey undertaken for the Clean Energy Energy Council found 82 per cent support in Victoria, 80 per cent in South Australia, and 73 per cent in New South Wales. Flying back to Melbourne that evening, there was time to reflect on the wind debate and what it means for Australia’s future energy needs. We know that wind power is clean, safe and popular, and getting cheaper all the time. It’s also a source of critical local manufacturing jobs. Why isn’t Australia rushing to develop our wind resources with the same headlong enthusiasm we sow towards coal and gas? The answer, as Sandi Keane explores in a companion article we publish in New Matilda today has nothing to do with the merits of wind as an energy resource, and everything to do with the politics of energy policy and the power of vested interests. Tomorrow, we’ll explore another technology that is threatening to overturn the established order of Australian energy, even more radically than wind power: solar power. Ben Eltham travelled to Portland courtesy of Pacific Hydro. If the vested interests made it clear that they oppose windfarms because it would hurt their profits, then they’d be telling the truth. If the politicians that sheltered them were honest about why they established ‘no-go zones’ in VIctoria (see above), they’d get more respect. It’s the lies about their affair that I hate. Not that they believe different things to me about global warming and self-interest, but their inability to tell the truth about what they know, under the b*s#i+, is wrong. That’s why, like a stupid, meretricious child, they’re hiding it.